Power - 46 ps; consumation - 9 ltr/100; The equipment is standart for Mexico Kafer with exception the original rims, which I bought from NRautomobile, when I bought the car it was on 43 000 km, I bought it from Wolfsburg and it is in very good conditions, now the car is on 48000 km, and I do not have any problems with it. 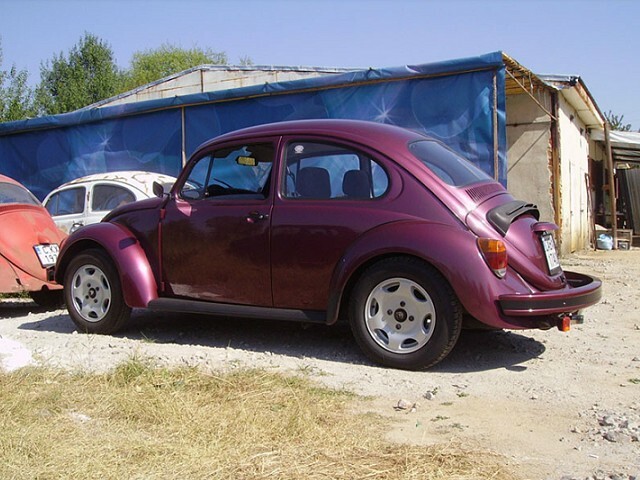 My Mexican is the only car after 1985 in Bulgaria. I have 3 more kafers- 1950 standart; 1959 delux; and 1966 export.This is my personal collection. Although I have a partner and together we have 40 beetles and one carman gia convertible.